What? 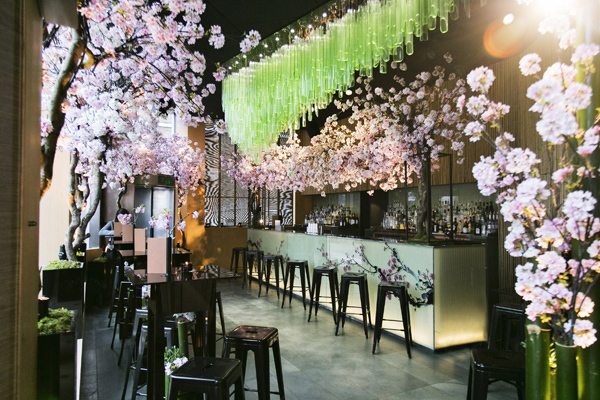 To celebrate spring and the cherry blossom season, Japanese restaurant Sake No Hana has turned its bar into a pop-up cherry blossom garden entitled Sukura at Sake No Hana. Guests can enjoy cherry-themed cocktails and teas, surrounded by cherry blossoms, as well as sukura inspired bento boxes and desserts. At lunch on the 26th of April, guests can also take part in Kagami Biraki where sake barrels and broken with a wooden mallet and sake is served in the traditional way.